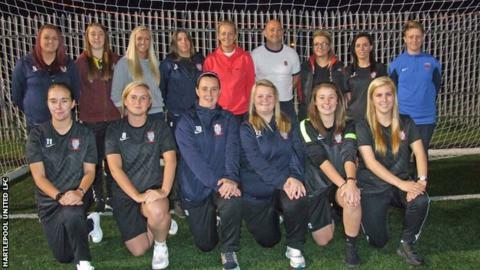 Hartlepool United linked up with Seaton Carew Ladies to launch a team under their branding. Hartlepool United have given their backing to a women's team, by linking up with Seaton Carew Ladies. The ladies will compete in the Durham County Women's League Division One, with regular home fixtures played on pitches at Hartlepool Power Station. Pools will play five steps below nearby Women's Super League One side Sunderland, and two below near-neighbours Middlesbrough's ladies. Manager Andy Stuart said: "Our aim is to develop girls into better players." He added: "The support of Hartlepool is going to give us the opportunity to not only do that but hopefully attract more players to the club. "The girls have been so excited and that's been reflected in the quality of their performances in training and in matches." What is life like as an All Black?